Cilantro and Italian Parsley are the two herbs used as ingredients in a wide range of cuisines. Most people in southern Europe, northern Africa, Asia, South America and Central America add Cilantro for garnishing and flavouring the food, while other parts of the world love their dishes with Italian Parsley. However, a large section of the people across the globe shows aversion to these herbs due to their pungent smell and soapy taste. Though both of them belong to the same botanical family called Apiaceae, there are significant dissimilarities in their look and qualities. Cilantro is the American name for Coriander, which is also known as Chinese parsley. 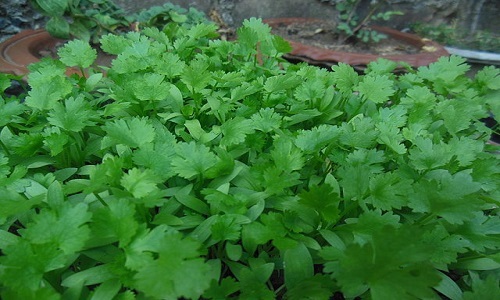 Every part of the coriander plant is edible. But, its flat and delicate green leaves and the dried seeds are mostly used in cooking. The lacy leaves that look like Italian Parsley bear strong flavour and aroma. Since heat can reduce the flavour and taste of the coriander leaves, it is added to the dishes at the end of cooking. Moreover, the leaves get spoiled soon after their separation from the mother plant; and the freezing or drying them accelerates the decaying process. Heating the dried seed increases the flavour and aroma, but if grounded and stored, its flavour will be lost gradually. The leaves of cilantro are very nutritious. They are rich in vitamins A, C & K and dietary minerals. The seeds of cilantro contain a good amount of dietary fibre, calcium, selenium, magnesium, iron etc. The recent combined study conducted by the US and Mexican researchers have established that the flavour element of the cilantro can kill hazardous Salmonella bacteria. Cilantro is considered to be a natural food supplement that can prevent food borne diseases. Nevertheless, it can cause allergy in certain people. The taste of the coriander leaves is not the same for all people. For those who love the taste, it is refreshing and lemony, but for the others, the flavour and smell bring only aversion to it. According to the flavour chemists, the aroma is produced by some Aldehydes contained in the cilantro. Cilantro is cultivated mostly in India, Morocco, Canada, Russia, China, Egypt, USA and Mexico. It is harvested by pulling the entire plant from the soil. It was one of the first spices cultivated by the early settlers of British colonies in North America. Italian or flat leaf-parsley has flat dark-green leaves with thick and large pointed lobes. They look like the leaves of cilantro and have flavour and aroma. All parts of the plant are edible, and the slender stems are bitterer than the leaves. The leaves of the parsley are nutritious and rich in iron. It has low calorie and contains potassium, calcium, manganese, and magnesium along with vitamins A, C, E. Italian parsley can withstand heat while cooking. The leaves are antioxidants and can control cholesterol in the blood. The plant exhibits antiseptic properties. The Eugenol, which is present in the leaves, can act as an antiseptic agent for gum diseases. Parsley improves human immune system and can prevent cancerous tumours. It controls blood pressure and is known to minimize neuronal damage in Alzheimer’s disease patients. However, unlimited consumption of parsley can harm pregnant women as it can lead to bleeding and preterm labour. Italian parsley is an excellent mouth freshener too. It helps digestion and resists infections and common colds. In ancient times the wreaths made of parsley were used by the people to get rid of drunkenness. Today it is the most sought after herb for garnishing and flavouring the Middle East, European, and American dishes. The nativity of Italian parsley was southern Europe and Mediterranean regions. Now it is cultivated all over. Chandrasekaran Punalur. "Difference Between Cilantro And Italian Parsley." DifferenceBetween.net. October 5, 2015 < http://www.differencebetween.net/science/health/difference-between-cilantro-and-italian-parsley/ >.